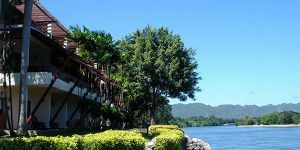 Since the province of Kanchanaburi is a popular tourist destination in Thailand, there are a number of accommodations available. 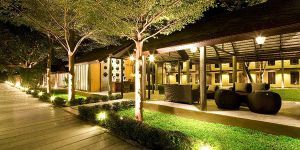 Most visitors who would like to stay for a few nights in Kanchanaburi come from Bangkok, the busiest place in Thailand. In this province, visitors can relax and take a rest with both clam and natural atmosphere. 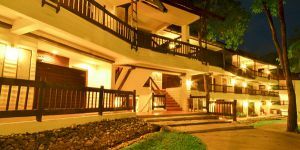 Accommodation class in this province can also be divided into several classes – hotels, resorts, home stays, and floating houses. 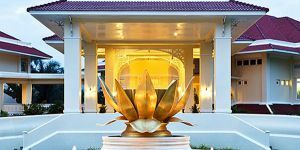 Hotels in Kanchanaburi are not as many as other tourist destinations like Bangkok, Pattaya, Phuket or Chaing Mai. 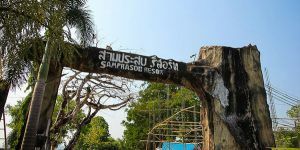 This is because Kanchanaburi is an area surrounding with nature, where most visitors are likely to stay in resorts which produce more natural style than hotel. 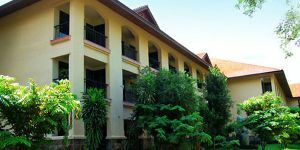 However, those who prefer to stay in the city center of Kanchanaburi can still find a full facility hotel easily. 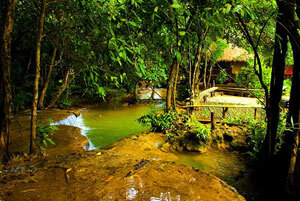 Resorts can be found in almost every area in Kanchanaburi. 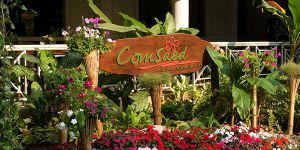 This is because resorts, with nature surrounded, seem to be very popular for visitors. When travelling in Kanchanaburi , visitors likely expect to see natural atmosphere rather than to see buildings in the city. 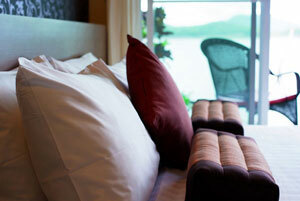 Great resorts can also provide a plenty of facilities as what can be found in a hi-class hotel. This is the reason why this type of accommodation becomes more and more popular in recent years. 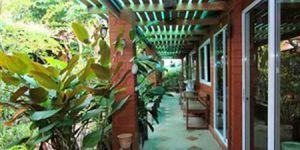 Guesthouses are a cheaper choice for visitors to stay. 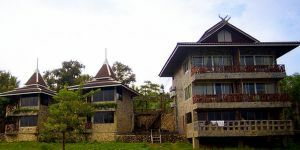 Although there are not many facilities like hotels and resorts, this type of accommodation usually locates near a community area, where visitors can walk to see how locals live. 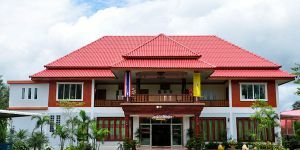 Those who would like to pay less for accommodation can find many guesthouses near Kwai River and Don Rak War Cemetery. This type of accommodation seems to be more popular to foreign visitors than Thai ones. Floating houses are very popular accommodation because visitors can have interesting experience from staying on a raft over a night. 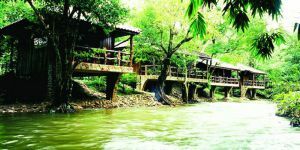 Some floating houses are also pulled by a boat towards more natural areas or a famous attraction as Sai Yok Yai Waterfall. 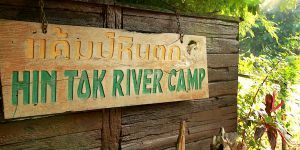 However, Floating houses in the area of Srinakarin and Vachiralongkorn dams seem to be at the same area. 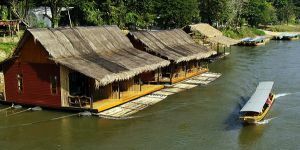 Floating houses in some places also offers water activities for visitors to enjoy. 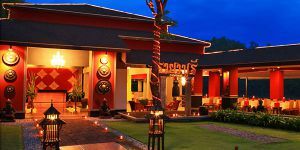 Now, let's see a list of accommodation in Kanchanaburi.